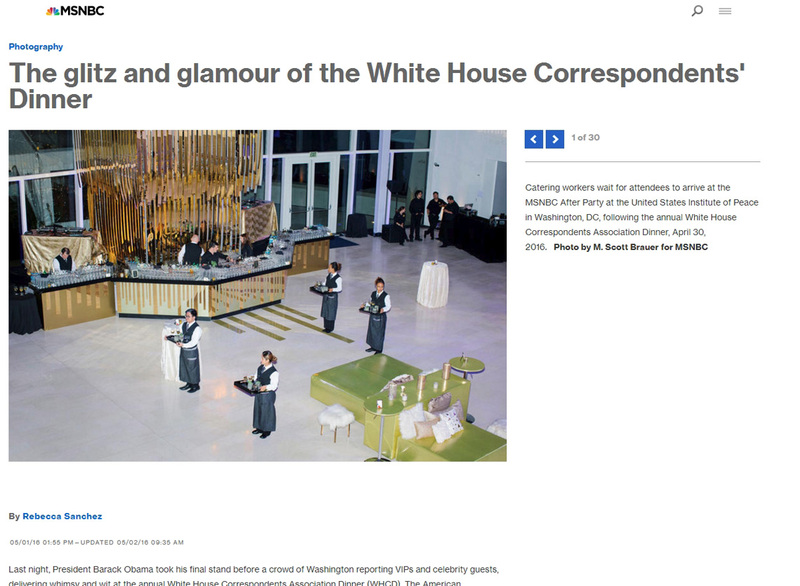 Last week, I traveled to Washington DC to cover MSNBC's White House Correspondents Association Dinner after party for MSNBC. It was a surreal and exhausting experience, but I'm really happy with the edit that MSNBC published. Thanks to Amy and Rebecca and the rest of the MSNBC photo team for the assignment and edit, and to Diana and Rachel and the rest of the crew on the ground that made access to the party a breeze. And here's a 360 moving still image of me at the end of the night (about 3:30am) and thinking about the prospect of editing pictures to get published a few hours later.